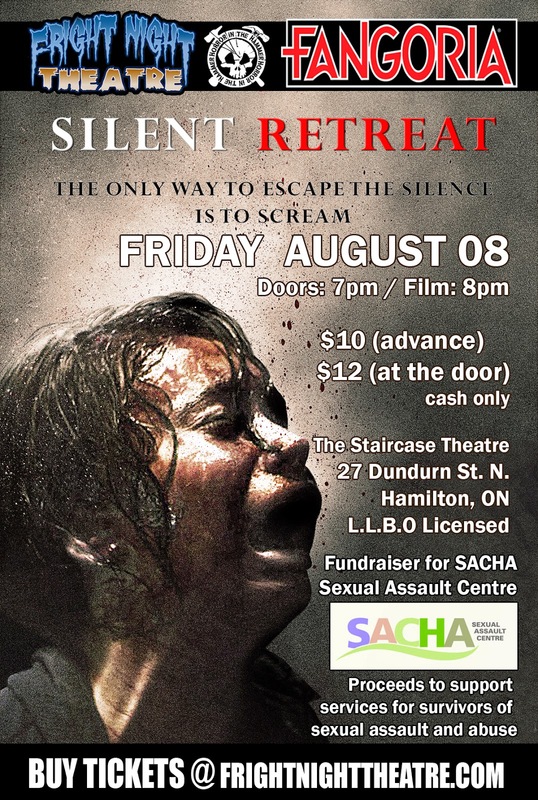 On Friday, August 8th, 2014, the award-winning Canadian horror-thriller SILENT RETREAT had its Hamilton Premiere at Fright Night Theatre as part of a fundraiser for the SACHA sexual assault centre at the Staircase Cafe Theatre. Thanks to the generosity of the filmmakers, our sponsors, and fans, Fright Night Theatre was able to raise $244.52 in support of SACHA's services for survivors of sexual assault and abuse. 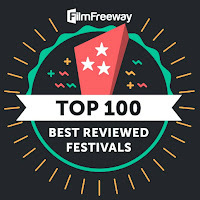 Recognizing dynamics of gender and power in sexual violence and the importance of organizations like SACHA, Fright Night Theatre invited director Tricia Lee and writer Corey Brown to screen their feminist horror film SILENT RETREAT in Hamilton as an official selection of Fright Night Theatre. We were honored to have Lee, Brown, and star Robert Nolan join to celebrate women in the horror industry, to raise money for SACHA, and to share their thoughts about how horror and the horror industry can be empowering to women. 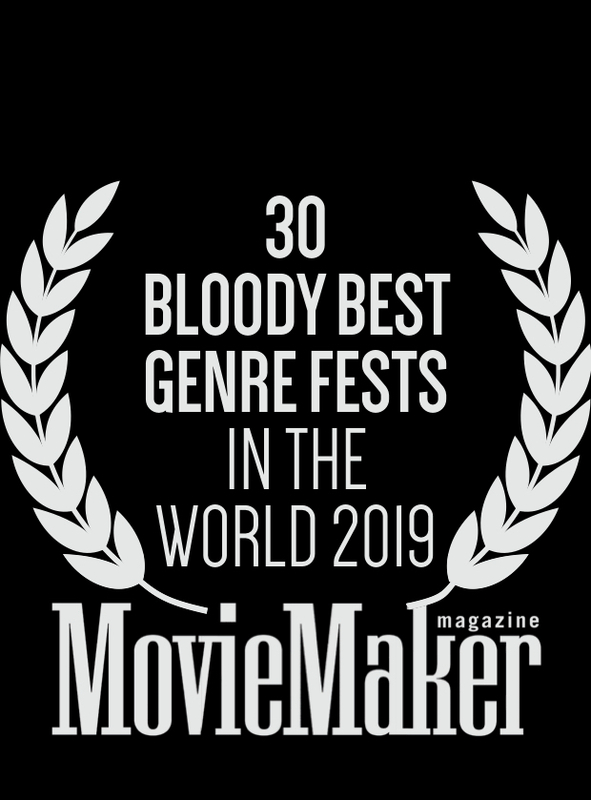 Ann Hopkins, CF Benner, Chelsea Jenish, Cheyenne Federiconi, Chris Alexander, Chris Crash, Colette Kendall, Corey Brown, Courtney Make, Erin Crickett, Jacqueline de Schutter, Jefferey Watson, Leah Visser, Lenore Lukasik-Foss, Mark Furukawa, Mark Sims, Robert Nolan, Suzanne Kirkwood, Ted Dalgetty, Tina Hall, Tricia Lee.